It must be believed to be seen, indeed! 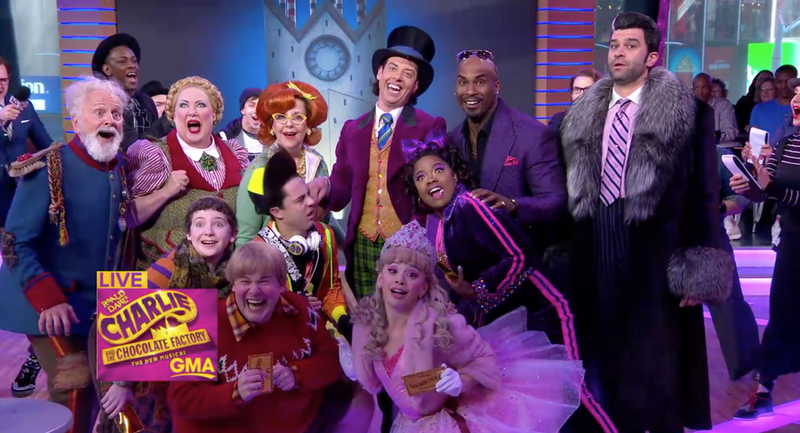 Two-time Tony winner Christian Borle, Ryan Sell, Emily Padgett and Tony winner John Rubinstein joined their fellow Charlie and the Chocolate Factory co-stars on the May 10 edition of Good Morning America to preview the new musical for TV audiences. The talented stars sang a pair of numbers from Marc Shaiman and Scott Wittman’s original score. Give a look at the candy-colored costumes donning the show's misfit characters and head on over to the Lunt-Fontanne Theatre where you can watch Roald Dahl's classic story unfold live.